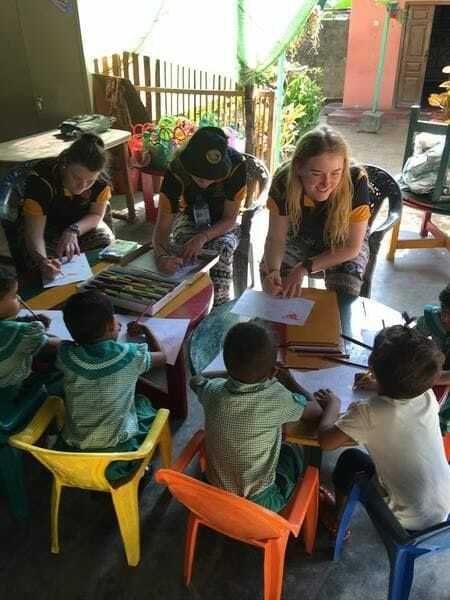 A group of senior students from James Sheahan Catholic High School in Orange have undertaken a life-changing immersion program during their recent spring holidays as volunteers in disadvantaged communities in Sri Lanka. The 15 students and three staff members visited 10 Lasallian schools around Mannar and a vocational training centre for young women in the Sri Lankan capital, Colombo. The students worked as teachers assistants in the schools and preschools and gained invaluable insights into daily life in a country still recovering from a decades-long civil war. 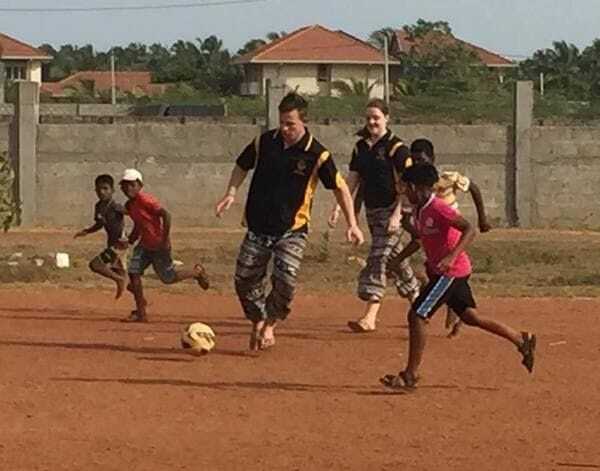 They also joined in sporting activities with the local students including an entertaining game of soccer at the English Medium School in Mannar, catering for primary students. The Kids Campus preschool in Mannar caters for 130 students and the De La Salle Brothers have been at the forefront of providing early literacy and numeracy programs to children from disadvantaged backgrounds. The immersion program to Sri Lanka is now in its fourth year at James Sheahan Catholic High and it is made possible through the support of the Lasallian Foundation and a series of fundraisers in the lead up to the trip. This included a highly successful High Tea fundraiser in August and a stall at the annual school fair. The immersion program was also made possible through the efforts of three dedicated staff members at James Sheahan Catholic High who accompanied the students to Sri Lanka- Mr Peter Meers, Ms Robyn Stevens and Ms Jane Edwards.